"If it doesn't CHALLENGE you,It doesn't CHANGE you." Welcome to MoutainBikesOnly.com. This is Michael Steve, the person behind this website. 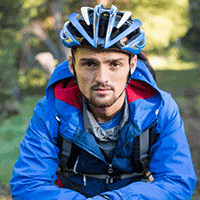 A passionate mountain biker and love to share his experience here. Read More.